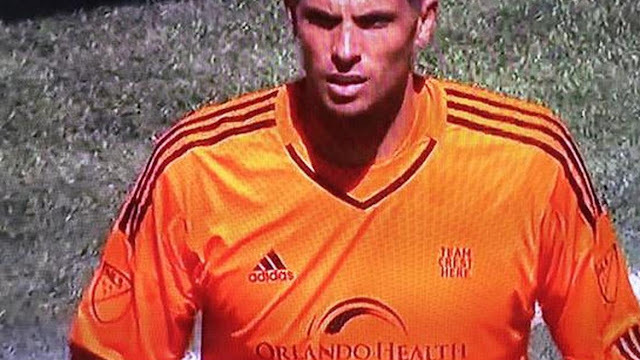 Major League Soccer club Orlando City and its goalkeeper Tallman Hall turned some heads this weekend after the shot stopper was spotted wearing a keeper shirt with the words "Team Crest Here" in place of where the club's badge was supposed to be on the shirt. Hall and Orlando City however, were not the first player or team to have an embarrassing wardrobe malfunction in the world of football so today I give you my 4 all-time favorite football kit blunders. Manchester United's Brazilian midfielder is just one of many footballers that have had their last names misspelled on the back of their shirts, so this will be the only player name spelling error on the list. 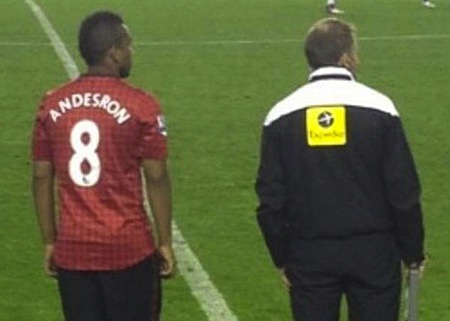 "Andesron" wore this misspelled jersey in United's season opener back in 2012. If you think misspelling a player's last name on the back of the shirt is bad, Crystal Palace's spelling error was much worse. 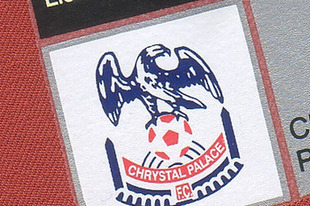 In 2004 the club had their own name misspelled on the team badge by adding an "h" to "Crystal" for an unknown reason. The blunder was so funny that it inspired a chant from the Palace supporters: "There's only one h in Palace!" When Wolverhampton fan Richard Gough ordered his favorite club's shirt for a low price he was quite happy with his purchase. 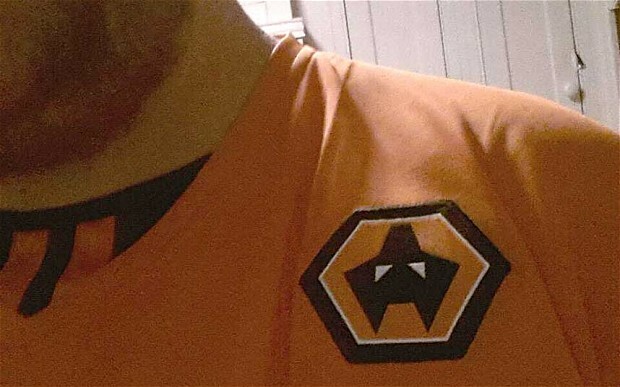 But when the jersey came with the club badge sewn-on upside-down Richard was understandably upset and took on social media to vent his frustration. 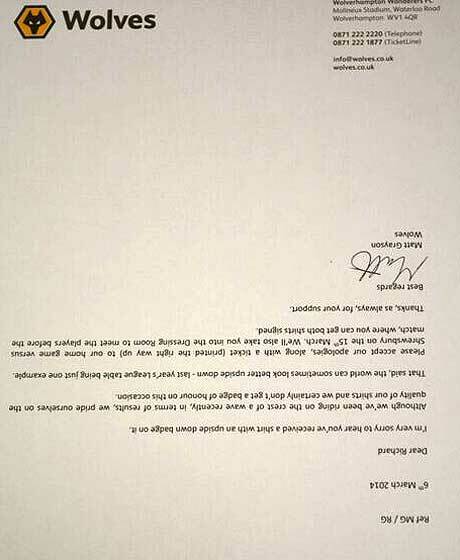 The club did respond to Mr. Gough with an appropriately humorous upside-down apology letter and they also treated him with some awesome gifts. I'm very sorry to hear you've received a shirt with an upside down badge on it. Although we've been riding on the crest of a wave recently, in terms of results, we pride ourselves on the quality of our shirts and we certainly don't get a badge of honour on this occasion. That said, the world can sometimes look better upside down — last year's league table being just one example. Please accept our apologies, along with a ticket (printed the right way up) to our home game versus Shrewsbury on the 15th March. We'll also take you into the Dressing Room to meet the players before the match, where you can get both shirts signed. By far my favorite kit blunder of all time was when Egyptian side Ghazl El-Mahalla’s kit-man forgot to bring his goalkeeper's shirt to a match against Al Ahly. With the appropriate kit nowhere around, the man in charge of providing his players with the gear opted for the only option at the time, picking up a replica Liverpool goalkeeper jersey from the local sports shop. 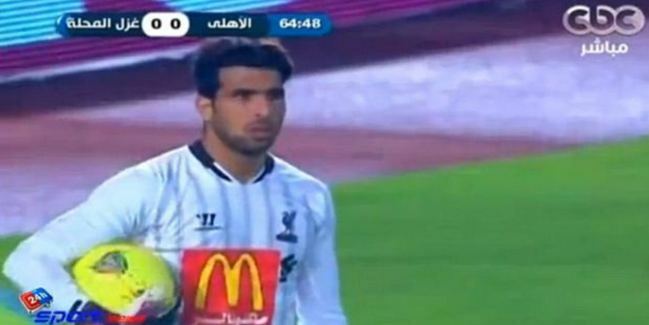 The club's shirt sponsor McDonalds was even plastered over Liverpool's partner Standard Chartered.